C. S. Lewis is one of the most influential Christian writers of our time. But while it was clear from the start that he would be a writer, it was not always clear he would become a Christian. 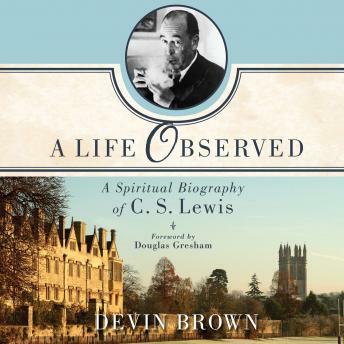 A Life Observed tells the inspiring story of Lewis’ spiritual journey from cynical atheist to joyous Christian. Drawing on Lewis’ autobiographical works, books by those who knew him personally, and his apologetic and fictional writing, this spiritual biography brings the beloved author’s story to life while shedding light on his best-known works.